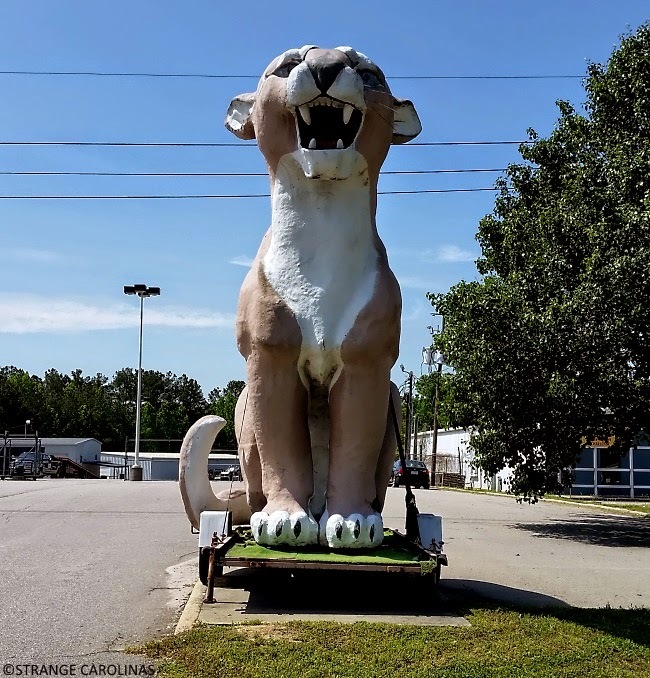 The Zebulon Cougar is one of only two cats built in 1972 by the same company that built figures for Walt Disney. 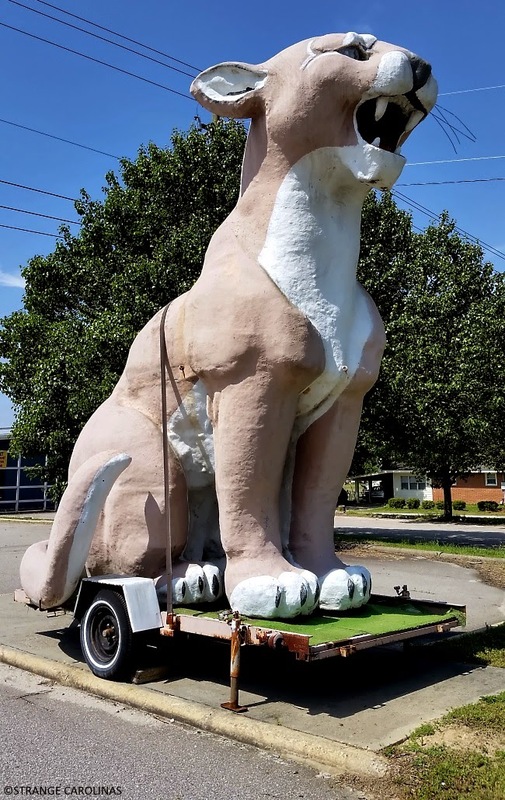 While one cat headed north to Washington DC, the other came to North Carolina. 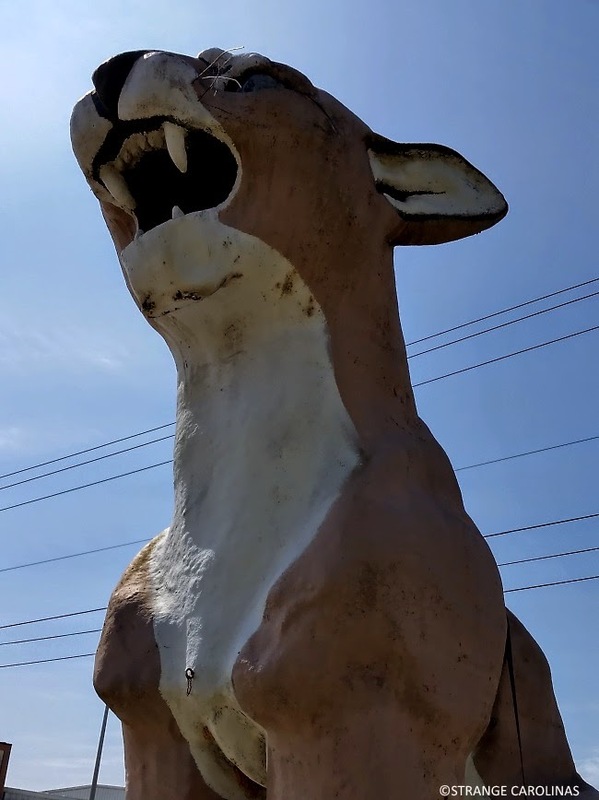 Measuring close to 15 feet tall, the Cougar sports teeth about a foot long and wild eyes. Originally, it was taken to 1313 Downtown Boulevard [Raleigh] to live at the Leith Lincoln-Mercury car dealership. Wouldn't it be cool if all companies created 15-foot-tall mascots to advertise their brands? Except for Burger King. Nobody needs a 15-foot-tall king. Dude's already creepy enough.